The advent of e-cigarette has not only allowed for countless smokers resort to healthier habits; it has afforded medical marijuana patients with a way to safely and discretely consume their medicine. Traditionally a mixture of nicotine and flavoring with propylene glycol, E Juice (also known as vape juice) has been considered to be a relatively safe manner of ingesting the chemical of choice. Since e-juice was first developed as a replacement for cigarettes, that chemical was first nicotine. However, other chemicals, including those found in medical marijuana, can be used just as easily! In this guide we will show you how to make CBD vape juice as well as where to buy CBD vape juice online. We’ve spoken at great length about the health benefits surrounding CBD, and how working CBD into your smoke session can help to mitigate some of the side effects of THC. We think that CBD vape juice could very well be the easiest (and most fun) way to get your daily dose of CBD. All you have to do after you make or buy some CBD vape juice is put it in your e-cig of choice and take a drag! You’ll be able to take it almost anywhere that e-cigs are permitted without any residual cannabis smell. You could even add flavoring to “make the medicine go down” and disspell suspicions. The most important step in the process is to secure some CBD. Often times, the best place to find this is in high-CBD strains of cannabis flower (i.e. marijuana). You’ll want to stay away from “hemp oil” or products that contain no THC whatsoever, as CBD is truly most active when in the presence of THC. Often times, “hemp oil” won’t have nearly enough CBD to deliver the needed effects and, without the presence of THC, the CBD would be less effective. For this example of how to make your own CBD E Juice, let’s say you have 1g of Sour Tsunami (one of our Top 9 CBD Strains). Sour Tsunami tests in at an average 11% CBD and 2% THC. In a ceramic bowl, use a spoon to flatten 1 gram of wax, shatter, or other hash oil (e.g. rosin). Cover it with parchment or wax paper to keep it from sticking to the spoon. Melt your concentrate. There are a couple of methods to accomplish this. One is to place the bowl with the flattened material in a bowl of warm water for a few minutes. Another method is to pop it in the microwave and use the “defrost” setting for a minute at time. Get the mixture runny. Begin adding drops of your Vegetable Glycerin(VG)/ Propylene Glycol(PG) mix (start with about 30 drops, 15 of each) and stir for about a minute. The wax and the VG/PG mix should be completely incorporated. Let the mixture cool completely. It should be about the consistency of honey. If it is too thick, warm it again slowly and add more drops of your VG/PG mix until it is the correct consistency. Place your CBD-infused e-juice into your vaporizer and enjoy! 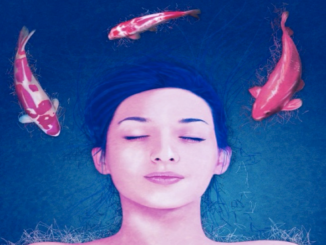 However, to witness the benefits of CBD for epilepsy, for instance, you’d want to ingest 200-300 milligrams of CBD every day for up to 4.5 months. Thus, you’d be looking to use 1/8th of a high-CBD strain like Sour Tsunami in order to create enough rosin to create an E Juice with. That’s a lot of work for an average person, not even considering that those in pain (i.e. most in need of CBD) would struggle with the process. Why make your own CBD E Juice when you can buy it easily on line? The best CBD we’ve found is that provided by Strain Genie. 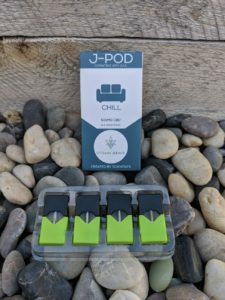 They make a 500mg pack of CBD Juul Pods, which delivers 125mg of CBD per pod! Additionally, the scientists at Strain Genie have inserted a proprietary blend of terpenes inspired from the most relaxing strains of cannabis. We are excited by the prospect of CBD vape juice making its way into common culture. We can only hope that only those in need will begin using CBD in their e-cigs, but anyone looking for a daily antioxidant that they won’t forget to take (since puffing on an e-cig is so fun!) should look to drop some CBD vape juice into their concoction. Ok but is it legal in Illinois? Everything is ready for my mix except for Glycol, any suggestion where can i buy it? Do I need prescription for it? Can I buy in retail? Thanks in advance. We link to Amazon in the article. Probably the best way? Good luck! How does one make CBD rosin, or extract? Extract is usually with a BHO extraction process (not to be done at home). However, you could get your hands on some high-CBD strains and make rosin.